As the bell rings for lunch, students disperse and go eat where they please, and one of those places happens to be Lotus. Lotus Thai Cuisine is a Thai restaurant located on E Cherry Street, right behind Garfield’s Playfield. Walking down the halls of Garfield you can sometimes smell the richness in the ground peanuts, green onion, turnip, bean sprouts, egg, and rice noodle coming from a white plastic bag. Lotus ranges from soups and salads to their famous curries and stir-fried noodles. There have been lots of rumors about this heavenly restaurant closing down and it is confirmed that these rumors are unfortunately true. Since this restaurant has closed down, there hasn’t been much information given out on why it was shut down or if they are moving to a new location. and I would’ve liked to know where they’re moving or if they’re moving so I can show them some more love,” said Adanech Muno. Muno is a sophomore here at Garfield High School and states that she has been a big fan since she’s heard about Lotus and always looks forward to going when she can. “All the workers are super nice and the food that’s brought out is always a 10/10, and I would recommend this to anyone who loves spicy food because they have the best spices,” said Muno. Not only was this restaurant a place for students but it has also had a huge impact on people who lived around Lotus. 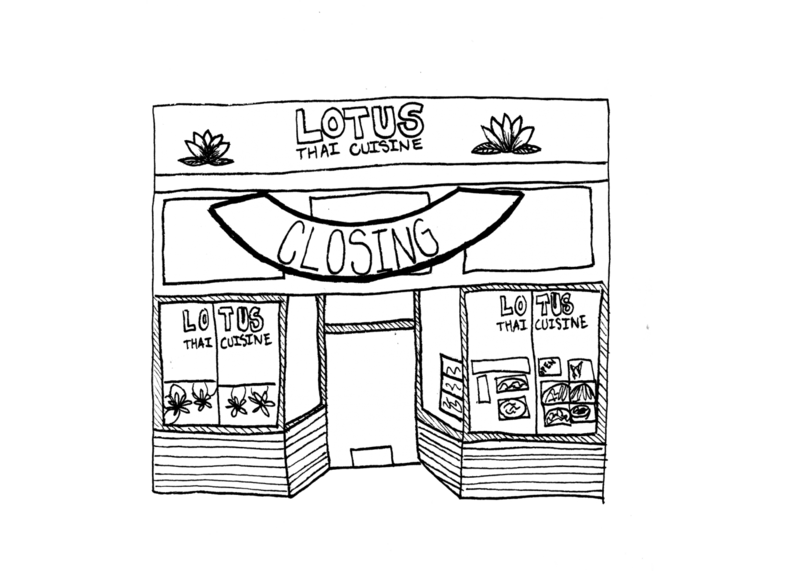 “I would come home from work and go to Lotus with my family to get take- out and it saddens me to know that a wonderful restaurant like this one is closing down,” said a person who chose to remain anonymous. huge a ect on the people living in this area. have grown with me,” said an anonymous person who lives in the Central District. It has also been said that the small businesses on 23rd and Jackson are also closing due to an apartment building being built. Some of these small businesses consist of Taco Del Mar, East African Imports & Restaurants, and Meti’s Hair Salon. Sadly, it is said that near the end of December these stores will officially be closing. Lotus was one of a kind and will truly be missed in the Central District but luckily towards the end of December they will be moving to a new location in Columbia City.